I just found this site today and have been having my "Aha" moment. My 2 year old son has been seeing a speech therapist due to speech delay and last week saw an occupational therapist due to eating issues. I'm the same way with not wanting to get my fingers dirty and I'm 20 years old. I hate touching anything gross - especially when doing the dishes. Is it so much to ask for my family to WASH their plates? Finally somebody out there shares the pain,the confusion as parents, the 'what are we doing wrong ?' etc, It is just such a relief to know we are not alone in this ! My son was in tears on his first birthday, he just hated touching the cake, he couldn't stand having cake and icing on his hands. Everyone thought it was so funny and if you look at his face, it was very funny at the time, but now, 3 years later, we know why he made such a fuss. He loves cake, he can't wait to eat cake, but you better be very near with a cloth in hand to wipe those little hands the moment he decides enough now ! I'm 19...this past year i was told by a psychologist that I'm a tiny SPD (for me, it's mostly auditory. Our rain gutter is dripping as I type this, and it's driving me to distraction.) Anyway, I've always had this thing about my hands being clean. I hate taking out the garbage, cooking, and other things because my hands get dirty. It all makes sense now! My son, at his 1st birthday party, did the EXACT same thing. Of course I didn't pay it any mind at the time, but I remember it now. 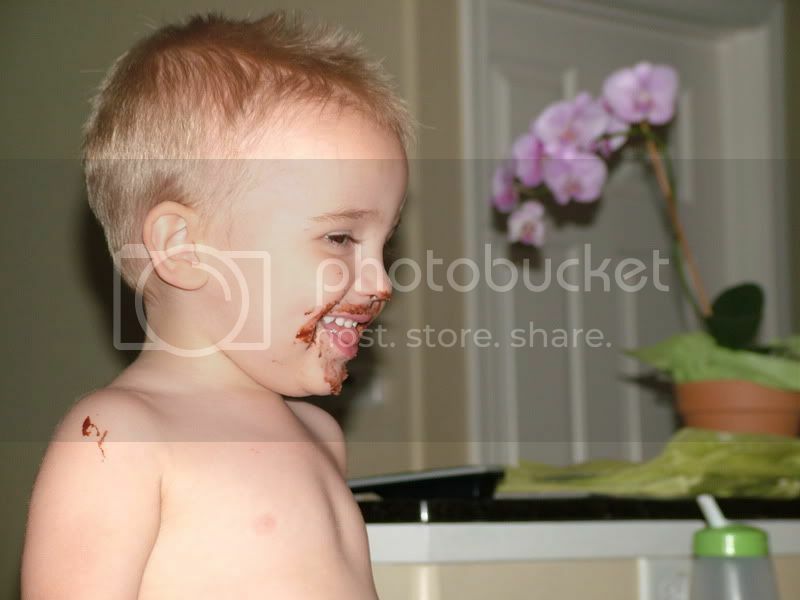 My son will let his hands get messy with some things (like dirt) but dislikes others - sometimes food, sometimes fingerpaint. Or he'll tolerate it but want to wash his hands right away after. 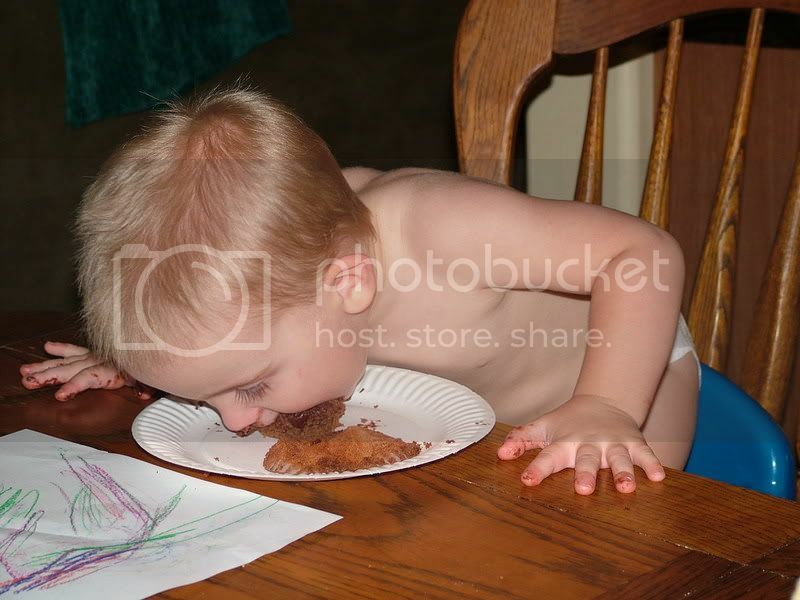 It does make for cute cake-eating pictures though, doesn't it?